The ‘fold-it-yourself’ concept is an amazing thing. This mini boom box looks like an item coming out straight from a fairy tale, but it comes with real working speakers. The mini boom box is made of cardboard and it is supplied to you in a flat-packed form. You have to fold it just like you would fold any flat carton. 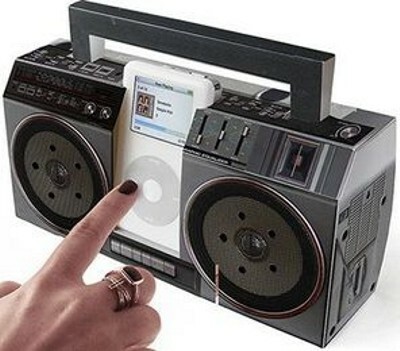 In a couple of seconds, you are ready with the most stylish looking boom box for your iPod. The two front speakers are amplified and fully working. Just place your iPod in the slot and get into the groove. It is also compatible with other MP3 players. 2 AA size batteries are included with the pack. Cat's tail USB drive, Meow!